Here is the next design in my DINOSAUR series! I almost wanted to stop earlier, but I just have too many favorite dinosaurs with awesome silhouettes to use in designing blankets. 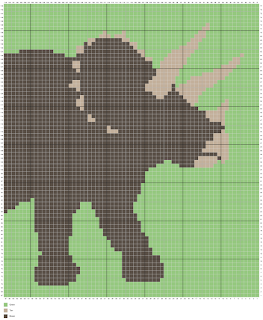 The Triceratops is a fierce land dinosaur that is well known for it's horns. 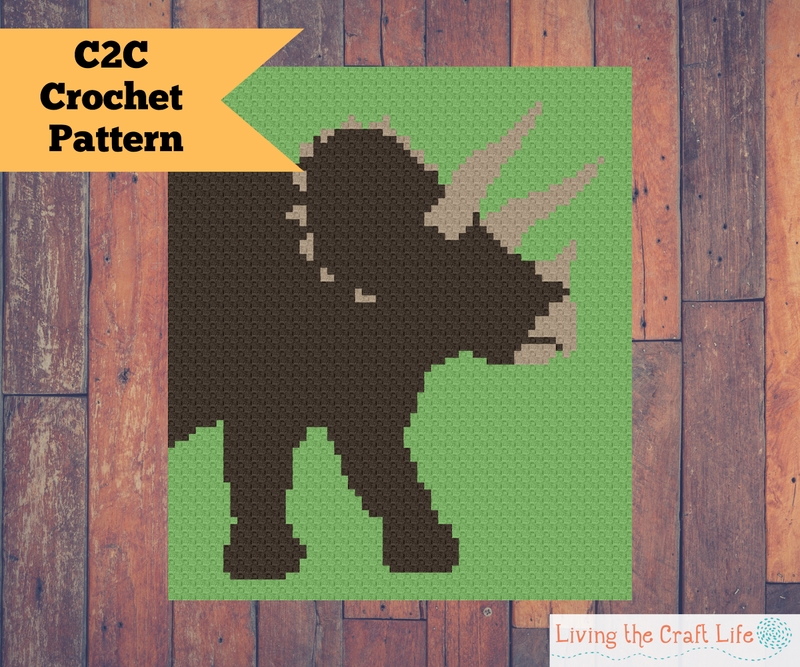 Here is the Triceratops C2C Blanket! Gauge not essential, C2C Crochet a triangle 8 blocks high. If your triangle measures 5.5” tall, your project will end up being 44”x 51”.